Love them or hate them, blogging memes give you my lovely reader the chance to find out something about me that I might not usually share. This one – 11 things – is a little bit scarier than most because the questions I’m answering were set by another blogger and I had no idea what they might be. So, thank you to Zena at Zena’s Suitcase for the tag and for a few slightly awkward questions! I’d recommend checking out her 11 things post too – we have the same issue with finding time for books and the telly-box these days! 1. Where do you see yourself in five years time? In five years time I’ll be a mum to two school age girls – wow! That seems a life time away. I hope that I’ll still be working part-time to give me the balanced family life I’m enjoying right now. It’s really hard to imagine exactly where we’ll be geographically as Mr Tin Box is in the Royal Navy so we could be posted anywhere. However, I liked to be living near the sea, which kind of goes with the job most of the time. 2. What one toy would you throw repeatedly against a brick wall? There isn’t a toy as such but there is a YouTube nursery rhyme channel that I’d gladly have taken off the internet. There is only so many times a mum can stand hearing ‘The Wheels on the Bus’. Most definitely my bed, especially on the day I’ve washed the sheets. 4. If the next song you heard was going to be the last one you ever heard, what would you listen to and why? ‘There you’ll be’ by Faith Evans as it reminds me of a special family member who’s no longer with us. It comes from the film Pearl Harbour, which was also one of his favourites. Sets me off every time! 5. What’s the worst job you’ve ever had? This is a tough one. I’ve had some great jobs that have had really bad days but I think the one I couldn’t wait to leave was an temp job with a telecommunications company. I was filling some time after University and was just there to put together the company’s Christmas card list. The database I had to use was ridiculously complicated. I did a rubbish job and to top it off my manager hated the way I made tea and wasn’t afraid to make me feel bad about it. It was a cup of tea! 6. What ‘bad’ thing did you do as a kid that your parents never found out about? Ha! They read my blog. I can’t answer this…but also I’m pretty sure they always found me out. I’m terrible at lying! 7. If you could go anywhere in the world tomorrow, where would it be and why? My answer to this question changes daily depending on my mood. Today I’m feeling a bit tired after being up a few times in the night with the kids, so what I need is some quiet time. My ideal place to do that would be by the pool at a villa somewhere in Spain with a cocktail in my hand. Mr Tin Box would obviously be looking after the kids! 8. What were your favourite sweets as a kid? Fried eggs. I used to nibble off the whites and then eat the yellow centre. Yum! 9. What’s your favourite movie of all time? So tough! I could watch Top Gun again and again. 10. Who is the most famous person you have ever met? The Duchess of Cornwall. Mr Tin Box were at a garden park at St James’ Palace – wit woo! 11. Which do you like best, Facebook or Twitter? Twitter. Although I think Instagram is my new favourite social media. Give it a go mum, Lunar Look, Cutie Pie Frizzy, On the Edge, Otterly Me, Welcome to my world, Kerry-Anne, Domesticated Momster, Mayra Ojeda Beauty, Mummy Travels. 1. Where did you go on your last holiday? 2. What’s the first thing you do when you get up in the morning? 3. Tent or holiday villa, and why? 4. Who do you admire the most? 5. What’s the most recent thing that made you laugh out loud? 6. Who do you text more than anyone else? 7. How many countries have you visited and which was your favourite? 8. What chore is always at the bottom of your to-do list? 10. What’s at the top of your summer holiday packing list? 11. If you had one tip for new bloggers what would it be? 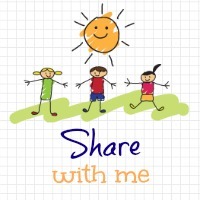 Don’t forget to let me know when your post is live so I can take a look. 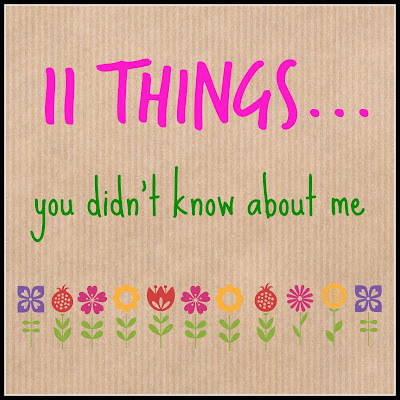 If you haven’t been tagged for 11 things yet and would like to have a go leave me your blog URL below. I’ll add you to my tag list. Thank you so much for tagging me 😀 Just love this idea! Seriously what is it with the wheels on the flipping bus?! Every nursery rhyme video has not one but multiple versions of that flipping song! Granted I still prefer it to 'Goosey Goosey Gander' though. No problem. I'm looking forward to reading your answers when you get a chance. You may hate me, but I love "The Wheels on the Bus". Our commute to/from daycare was 15-30 minutes. We needed in car entertainment, and that kept the whining at bay for a while. I have finally finished mine! Sorry it took me so long! http://domesticatedmomster.com/2015/08/10/the-11-things-about-me-tag/ Thank you again for tagging me!